Does the U.S. have the highest corporate tax rate? The White House's chief economist released a paper Monday that seeks to explain why the Trump administration believes a big cut in the corporate tax rate could spur a dramatic increase in workers' paychecks. Average household income, the paper asserts, could rise by at least $4,000 a year if the 35% tax rate on American corporations is reduced to 20%, as the recently released Republican tax reform framework proposes. The author of the paper -- Kevin Hassett, who chairs President Trump's Council of Economic Advisers -- has spent years studying the relationship between corporate taxes and wages. Hassett based his analysis on a review of academic literature and evidence observed in other countries that have lowered their corporate rates. He contends that tax policy is a big reason why wages and productivity have been largely stagnant, even as corporate profits have soared. Hassett's reasoning is central to the administration's argument that its tax plan would help the middle class. "America's broken tax system creates incentives for companies to hold profits overseas," Hassett said in a call with reporters. Today, the U.S. corporate rate is the highest in the developed world. But American multinationals have to pay only U.S. tax on their overseas profits (minus whatever they've paid on them already to foreign governments) when they bring the money back home. To avoid a big tax hit, many companies leave those profits abroad in lower-tax countries. By slashing the U.S. rate, the theory goes, companies will have more incentive to invest money in the United States. And they will do so by making more capital investments -- such as in machines -- which can help boost productivity. That, in turn, can boost wages, Hassett argues. Hassett's study analyzes only the effect on wages of lowering the corporate rate. 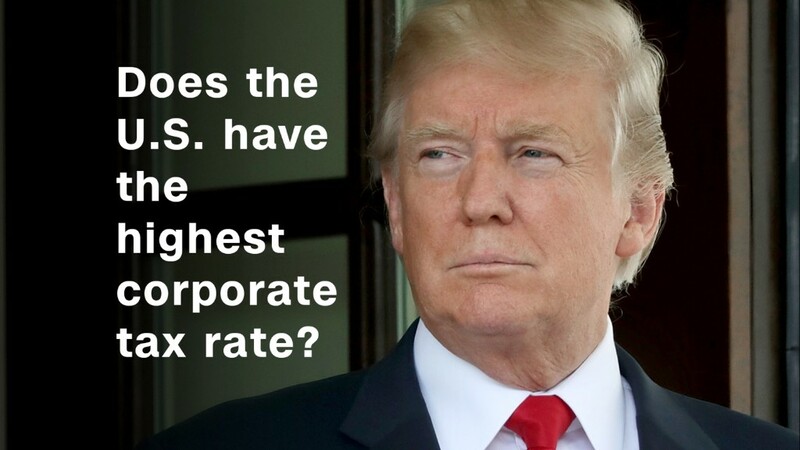 He said wages could increase even faster if a tax cut is coupled with another proposal in the GOP framework to tax American multinationals' existing overseas profits at a one-time low rate. "You could get a pretty good kick right away," he said. Sounds great. So what's the catch? Outside experts haven't had a chance to review Hassett's paper yet. But when asked last week about comments Hassett made in a recent speech that implied the average household might see a raise of $4,000 over eight years, Mark Mazur, head of the Tax Policy Center, said he was skeptical. Here's why: Yes, many economists and tax policy experts agree that a lower U.S. corporate rate would attract more money to the United States, as the White House asserts. But there is far less consensus on how companies would use that money and on how much tax savings would directly benefit workers. For instance, companies may opt to use a significant part of their tax savings to increase dividends or buy back shares instead of making new investments that can create jobs and raise wages. Or they may bring back less money than anticipated because they want to keep it in an even lower tax country, or because they actually want to use the money in those countries. And a big, unresolved question among economists remains: How much of the corporate tax is actually borne by workers through lower wages and fewer jobs? Or conversely, how much will workers gain if the corporate tax rate falls?